Roddy Dolan, a surgeon, and Danny Burns, an accountant, are being hunted as prey. Someone is after them with lethal intentions but they don’t know who or why. Whoever it is, and for whatever reason, they and their families are in the crosshairs of killers. Everything they know is unravelling. They must hide, send their families away, abandon their homes, and leave their lives behind. 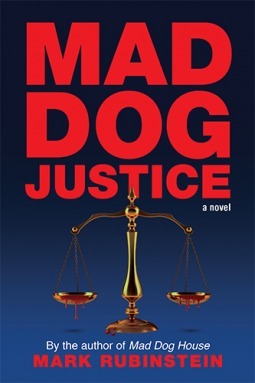 The second book in the Mad Dog series, Mad Dog Justice is a harrowing tale of friendship, morality, betrayal, and dire consequences. This is the second book in the series but Rubinstein writes it in such a way that you don’t need to have read the first in order to understand what is happening or who these guys are. Through conversations, flashbacks, thoughts, and memories the events in the first book are explained fairly well so that nothing is left unanswered or confusing for the reader. 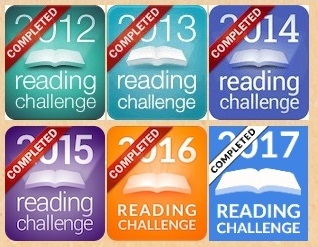 If you haven’t read the first book (like I hadn’t), then a great air of mystery is present having not known the past and you seek to find out something that the main characters already know about, but this does not take anything away from the book it simply adds curiosity on our part and a desire to find out. Roddy as a character is curious, he is rough around the edges at times, and comes off as a little bit needy. Whilst on the run he laments often about his wife, every woman he meets reminds him of her in some arbitrary way, and it gets a bit much at times. Donny, on the other hand, tries to suppress his moral dilemma and the fear of being hunted by persons unknown and prays a lot in order to justify to himself their past actions. The way Rubinstein has constructed the narrative is clever and with realism. Hiding from questioning police, running away from friends and family, while also trying to track down potential killers is a lot harder that it seems, especially in the modern world and Rubinstein explores that. For a surgeon and an accountant they are quite skilled at being on the run and in hiding. They may not be professionals but there is certainly some skill. Roddy tells us numerous times he has had ranger training so he understands how to hide and leave no trace. Roddy is the main narrator so we find out more about his past and youth than Donny’s. At times Roddy seemed a bit arrogant and a bit too proud of his youth and his reputation. It was easy to see past Roddy and present Roddy as different people, Mad Dog versus the skilled surgeon, but as the story progresses it is clear there is still part of Roddy who remains Mad Dog. With Roddy and Donny unsure exactly why it is they are being targeted, it adds a great element to the story. As readers we do not know, and as characters they have theories but are not certain, leading to assumptions being made and stress and panic over past behaviour. Even when their theories are eventually revealed, there is still a great suspense just in the fact that they are uncertain and it shows that the explanation and the story itself may not be as simple as it first looked. I enjoyed how Rubinstein chose to end this story, after the events in the book and the actions of Roddy and Donny it was unexpected but not displeasing and it suited the story wonderfully. The story is clever and real but is also filled with danger and mystique that makes real life a little bit more interesting and certainly not as simple as it appears.